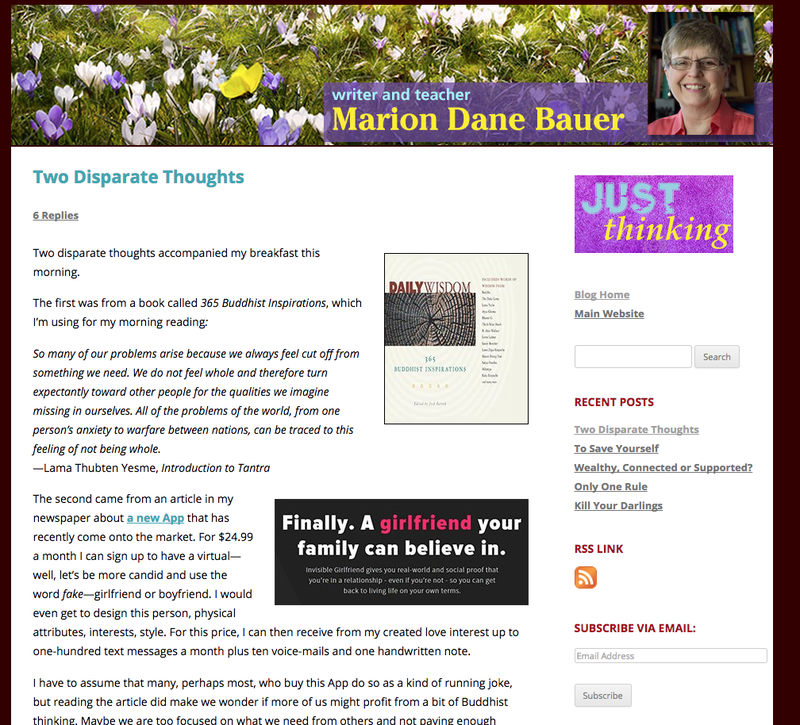 Check out Award-Winning Author Marion Dane Bauer's blog post, Two Disparate Thoughts. It's intriguing to consider not just our own completeness and/or incompleteness, but our characters' as well! And though it’s true that, if there were no needing, no longing, we might not have wars—either in our homes or between nations—it’s equally true that without our profound incompleteness we also wouldn’t have stories. And so it's a craft lesson as well. And thanks as well to Cynthia Leitich Smith for her amazing blog, where I found this link! Sanna Stanley is the Winner of the Jane Yolen Mid-List Author Award! Lee: Congratulations! Tell us about finding out you won the Jane Yolen Mid-List Author Award! Sanna: When I saw an email in my inbox from Lin Oliver, at first I wondered if it was spam, but on a second glance felt the name was oddly familiar. I'm sure glad I opened that email! Lin's letter said I was this years' winner of Jane's Award, and explained it was to bring attention to good work I've done in children's books and put the word out about more great stories to come. Sanna: As I don't have an agent or editor at this time, this recognition is a bit like starting off on stilts to get over the high jump. A huge boost was being invited to the Friday night Cocktail Party at the NY Conference in February where I was able to mingle, as "the Jane Yolen Award winner" with editors, agents, and other authors. I'm hoping that when I add Jane Yolen's name to the subject line, my queries will be more likely to be read! That the award comes with a grant is not insignificant, and the monies will be applied toward my research on agents and editors, technology upgrades to bring me up to date with current practices in social media, and last, but my favorite, to assist with in the cost of another Highlights Foundation workshop with Patti Gauch. Lee: You've illustrated books written by other authors as well as picture books you've written. When you're creating both the words and the text, how do you approach the story? Do you write all the words and then handle it like someone else wrote it, or do you plot out with pictures before you write any words or...? Sanna: I think as an artist I wander into all my stories through images. I may have an idea scribbled and explored in words, but I don't have a story until I follow an image. This can be as subtle as a felt sense of a character's mood, the gesture of an attitude, or as explicit as very specific details of place. But I am also a lover of words. When I write, I bend my ear, and quite literally listen to the sounds of a story being told, then scramble to capture what I'm hearing. Lee: I've read that you draw inspiration for your work from the time you spent "as a child traveling to remote villages in the Democratic Republic of Congo." Can you share us more about that connection to the people and stories of Africa? Sanna: My mother tells me I got my flair for "telling stories" from the "talking" culture of the Congo. We didn't entertain small talk. I remember long talk, hours of stories around village campfires with a background clamor of children's games while mosquitoes buzzed at our ears and chickens pecked the ground near our feet. What will never leave my body is the rhythm of the Congo, it's in my blood, the call and response of church choirs and their songs, it's in my feet that walked barefoot on hot earth with friends to their fields, it's how I know to carry a baby on my back, and dig sweet potatoes from the ground. Once I made a clay pot and was so very proud when I was told I did it "just like a Congolese." I guess my picture books about Congo come from the place in my heart where Africa was my home. Sanna: When I was fourteen, we moved from rural Congo to rural Vermont, and my latest project, a middle grade novel starts right there, at the intersection of a different kind of diversity, when two misfits fresh out of New York City are newcomers to a tightly knit community in rural Vermont. When foster kids Louise (14) and Owl (12) get one last chance to be with their mother Mami, she has no food in the house. Even worse, her job, and their staying, depends on no one in her rural Vermont village learning she lost custody of her kids back in NY. Louise knows they can't attract attention, and warns Owl to act normal. He runs into the woods where his Tai Chi turns mystical. Soon Owl clashes with local youth hunters over the wild animals which are Owl's friends and the hunters' wild game. Only Louise sees that his life is in danger. Thank you, Sanna. Congratulations on winning the Jane Yolen Mid-List Author Award, and know SCBWI is cheering you on! 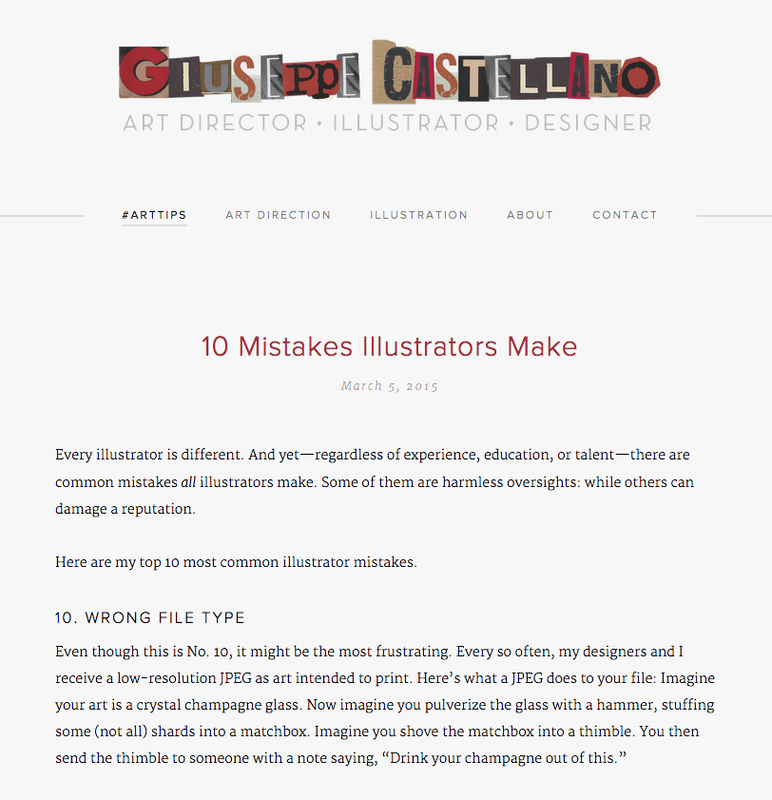 Check out this post, 10 Mistakes Illustrators Make, by the award-winning Designer, Illustrator and Art Director at Penguin Random House Giuseppe Castellano. But all of it is really smart to know about. Read Giuseppe's post, part of his #arttips series, here. Jane Mitchell is the runner up for the Jane Yolen Mid-List Author Award! Lee: Congratulations! Tell us about finding out you were chosen as the runner-up for the Jane Yolen Mid-List Author Award! Jane: Thank you for your warm wishes. I am so honoured and delighted to have been chosen as the runner up for the Jane Yolen Mid-List Author Award and am very grateful to Jane Yolen and all the team at SCBWI for granting me this award and the recognition that goes with it. The first I knew about being chosen was when I was sitting at home in Ireland on a bleak and dark January evening, regretting my over-indulgences during the Christmas season and lamenting my overdrawn bank account. January is always that really hard time when I'm trying to motivate myself to get enthusiastic about my over-zealous New Year resolutions about finishing my current manuscript and running 5 miles every day, but the weather is cold and wet, and the days are so short and grey that it seems to be twilight all the time. I opened my Email Inbox and up popped an email from SCBWI. I couldn't believe it when I read the message of congratulations and I think I let an unruly whoop of delight! It seemed that a beam of sunshine came shooting all the way from California that day, and I spent the whole evening grinning happily to myself. Jane: As soon as the news was out, I started getting messages of congratulations from the wider SCBWI community, as well as close friends and family. It's been fantastic to be able to announce the award on my website, Twitter feed and Facebook, and at a number of children's book events and book launches in Dublin. I am currently courting a nascent business relationship with a potential literary agent, so it has also been hugely satisfying to be able to tell her my great news. However, by far the most exciting result of this award has been the opportunity for me to enroll for a week of solitude, peace and complete writing immersion at a residential centre for artists, in Annaghmakerrig, Co Monaghan, Ireland. This means that I might truly be able to fulfill half of my New Year's resolution by finishing my current manuscript and perhaps even entice that potential literary agent to sign me up. 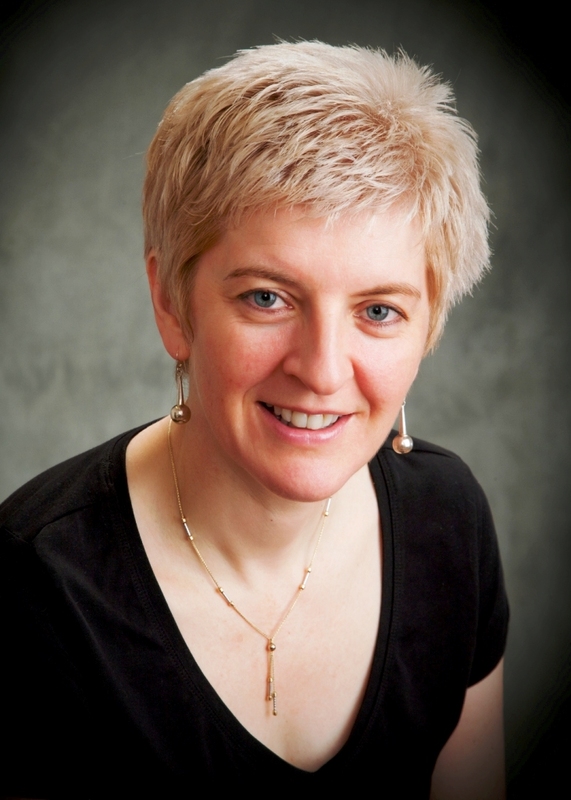 Lee: Can you tell us about co-founding SCBWI Ireland? Jane: About 8 years ago, I was keenly aware that there was no SCBWI chapter in Ireland. While we have some excellent and well-funded organisations focussed on children's books and literary activities for children, librarians, teachers and families, there was no organisation focussing specifically on the needs of children's book writers and illustrators. I was aware of SCBWI from the active and extensive British Isles chapter, and wondered about establishing a chapter here. At about the same time, an Irish woman who had been an active member of SCBWI in the States returned to Ireland after many years away. She was keen to establish an Ireland chapter, and so between us, we set up the first Ireland chapter of the organisation. We remain a small chapter to this day, with a scattered membership all around the country, and we all nearly know each other personally, which makes for a cosy and uniquely Irish gathering. Jane: I am passionate about human rights and the importance of supporting everyone in achieving their basic rights. 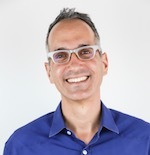 I teach developmental education in schools and to young people, and I encourage them to understand how the decisions they make can have an impact on people the world over, and how we all must take responsibility for making this world a better place for everyone, particularly for those who are less well off than we are. My last book, Chalkline, was about child soldiers in Kashmir, north India, and it was endorsed by Amnesty International as contributing to a better understanding of human rights. I believe girls and women in particular are denied their rights, not only in the developing world, but also in the developed world. For me, writing about it is the most powerful way to express how I feel, and writing from the perspective of young girls facing discrimination and struggling to achieve basic education and freedom shows the personal challenges they face. And who better to write for than the boys and girls who will be the future leaders of this world? That sounds terribly didactic and boring, but I work hard to imbue my writing with excitement, a powerful sense of place and a gripping story about real characters. Jane: My current manuscript is called Silverfish and is about 13 year old Sun who lives in present day North Korea, the most secretive and dangerous country in the world. Sun collects firewood to warm the family home and is lucky to have an older brother at military school who sometimes brings home extra cornmeal to supplement the family's rice rations. Sun dreams of performing gymnastics for the Supreme Leader one day, and she practises hard before school in the mornings. But Sun discovers that her brother has a secret: a secret that could plunge her whole family into great danger. When he doesn't return home from military school one winter night, Sun and her family are terrified of what might happen to them. How long will they be able to keep his disappearance from the prying eyes of Ma Caretaker, who is always on the lookout for secrets to trade with the military police for extra rice? North Korea has an appalling human rights record, and with few people escaping, the world at large is unaware of how the military regime treats its citizens. Silverfish is the story of one brave young girl who is determined to escape and make a better life for herself and her family. Congratulations again on this recognition, and know SCBWI is cheering you on! Crystal Kite Member Choice Award Submission Deadline is Friday, March 20, 2015! Want your PAL book published in 2014 included for consideration for the Crystal Kite Member Choice Award? 1. Click here http://www.scbwi.org/crystal-kite-award-guidelines/ to familiarize yourself with the guidelines for the Crystal Kite Member Choice Awards. 2. Make sure that your SCBWI membership is current! Only current members of SCBWI are eligible for the Crystal Kite Member Choice Awards. Not sure when your membership expires? Log in at www.scbwi.org and click on "Membership Renewal." Your member expiration date will be shown at the top of that page. 3. Log in at www.scbwi.org and update your publication information! Be sure to enter the name and publication year of your most recent book. Then, choose your publisher from one of the drop-down menus. For more detailed information, go to http://www.scbwi.org/crystal-kite-award-guidelines/. If you have any trouble updating, feel free to call the SCBWI offices at 323-782-1010 during business hours (9 AM - 5:00 PM, Pacific daylight time Monday - Friday) and someone will be happy to assist you. 4. Already entered your book? There will be a preview period from March 21-April 1 during which you can verify your book has been entered properly. If it is not, it may be that your membership is not current, it does not have a 2014 publication date, or you did not list a PAL publisher. Again, you can always contact our office if you are having issues. 5. We want you to promote and publicize the Crystal Kite Awards and remind people to vote! We just can't allow promotion or publicizing of individual titles. For example, you can tweet, Facebook and otherwise state: "Don't forget to vote for your favorite in the Crystal Kite Awards"!..or words to that effect. However, publicizing a specific title will lead to disqualification of that title. Don't forget to read through the Crystal Kites Member Choice Awards page http://www.scbwi.org/awards/crystal-kite-member-choice-award/ where you will find further information, dates for each round, and the Frequently Asked Questions page http://www.scbwi.org/awards/crystal-kite-member-choice-award/crystal-kite-frequently-asked-questions/ . We are very excited about the 2014 Crystal Kite Member Choice Awards! Lincoln Michel, writing over at Electric Lit, puts it so well. 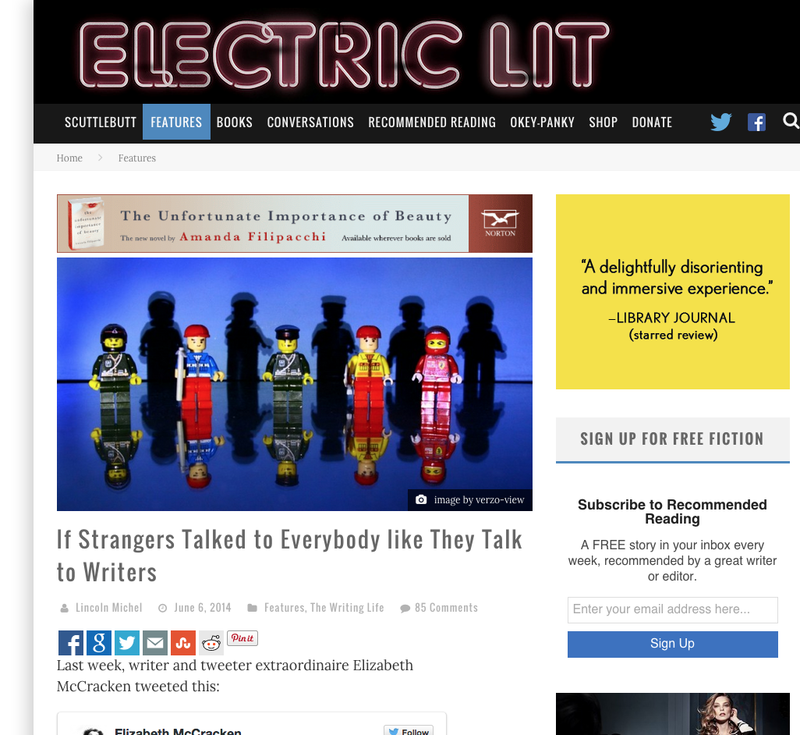 What if the career advice strangers gave writers was the way strangers talked to other professionals? "Ah, a middle school teacher? Have I met any of the students you've ever taught?" "An accountant? Wow, I haven't even looked at a number since high school." "Software programmer? Like, for actual computers sold in stores or just as a hobby?" "Menswear designer for J. Crew? Interesting. Have you tried selling your clothes yourself on Etsy instead? I hear people are making millions self-designing on the internet these days." It's funny, but even more than that, it's poignant. Because we hear this kind of thing all the time. Lee: So you have a new book of poems out, I CARRY MY MOTHER. Tell us a little about it. 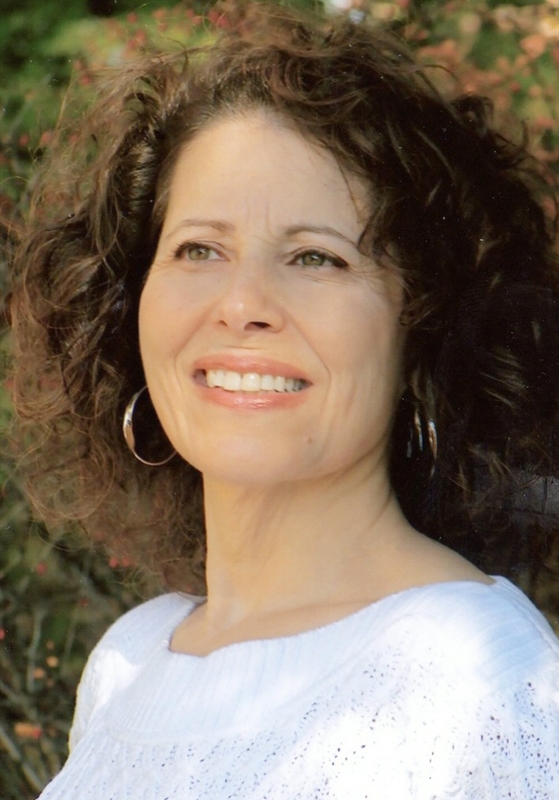 Lesléa: The book explores my experience of losing my mom, starting with her diagnosis and ending with the one year anniversary of her death (yarzheit). The poems are all written in form, which helped me tame my out-of-control emotions. Lesléa: Thank you! I worked really hard, as I wanted to do my mom justice. Lee: Can we share one of the poems to give readers a taste? Lesléa: Absolutely! Maybe "My Mother Is" which is an alphabet poem? Or something more lyrical such as "My Mother Has My Heart" which is an imitation poem? Lee: Let's do both, okay? “My Mother Is” copyright © 2015 Leslea Newman from I CARRY MY MOTHER (Headmistress Press, Sequim WA). “My Mother Has My Heart” copyright © 2015 Leslea Newman from I CARRY MY MOTHER (Headmistress Press, Sequim WA). Lee: I loved "My Mother Has My Heart." Lesléa: It's actually an imitation of an imitation! It was inspired by a poem by my former teacher, Anne Waldman, who wrote "Two Hearts," inspired by the poem, "My True Love Hath My Heart" which was written by Sir Phillip Sydney in the 1500's. Lee: Your previous title was a YA book of poems, OCTOBER MOURNING: A SONG FOR MATTHEW SHEPARD, which was a novel in verse about the real-life murder of a young gay college student. 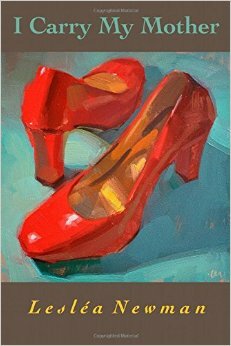 Two books about loss, and grief, yet with a different target audience - did that difference (writing for adults versus writing for teens) factor in the creation process? Lesléa: Actually I did not write OCTOBER MOURNING with a teen audience in mind. I wrote it simply as a poetry collection. I also did not think of it as a "novel-in-verse." I actually tried to sell OCTOBER MOURNING as a poetry collection for adults but I couldn't find a publisher. I was invited to give a talk at a high school for Gay Awareness Week and I read from the book. 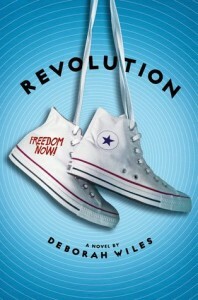 The students had such a strong response that I decided to publish the book as a YA. So I don't think there was much difference in terms of thinking about audience when I wrote both books. However, in terms of content, it was a vastly different experience. Both books center on a death, but there are big differences. Matt Shepard's death was a tragedy. My mom's death was not a tragedy. It was sad, but she got to live a full life, which Matthew Shepard did not get to do. Also my mom's death did not involve violence. And of course losing my mom was a personal loss in a different way than the loss of Matt Shepard whom I did not know personally, but whose death affected me very deeply, nonetheless. And of course with OCTOBER MOURNING I had to do a tremendous amount of research, which I didn't have to do with I CARRY MY MOTHER. Lee: So it's more of the publishing world wanting to categorize things YA or Adult, and you're just writing from your heart? Lesléa: That's exactly it! My writing business is actually called Write from The Heart, so I'm glad you made that connection. Lee: Kwame Alexander mentioned in his presentation at the 2015 Winter Conference that he worked with you on THE CROSSOVER - which just won the 2015 Newbery Medal! It was cool to think of someone with so many books already published seeking out a mentor. Lesléa: Yes, I was his mentor and we worked on that manuscript together for about a year. I sent him several 25-page single spaced letters. I could see the book's potential from the first draft, but he had a ways to go. Kwame worked extremely hard. I'm very proud of him. And I think we all need mentors, no matter how experienced we are. I consider Jane Yolen and Patricia MacLachlan my mentors; they are in my writers group. And I had the good fortune, early on, to work with Allen Ginsberg and Grace Paley. Lee: So ideally we're always mentored and mentoring, wherever we are in our journeys? Lesléa: I think that is ideal. One always can learn more, and one can always give back to writers with less experience. Lee: That's lovely. I want to get back to the idea of thinking of a whole book as a poem. When you're working on a board book, like your MOMMY, MAMA, AND ME, are you conceptualizing it as a poem in board-book form? Lesléa: I was actually asked by Tricycle Press to write a board book for very young children that centered on a child with 2 moms (and another book about a child with 2 dads). I decided to write it as a poem, because poetry is my first love and it's easiest for me. It's the way I think. Lee: So with larger works, like I CARRY MY MOTHER and OCTOBER MOURNING, they're built up of individual poems but the total vision, for you, is of one large poem? Lesléa: Yes, that's it. I started writing in this form with my book, STILL LIFE IN BUDDY, which has also been marketed as a novel-in-verse. Writing a book-length series of poems with a narrative arc is my favorite way to tackle a subject (STILL LIFE WITH BUDDY also deals with a death -- of a gay man living with and then dying of AIDS). And I also wrote a short series of poems about Hachiko, (the same dog featured in my novel, HACHIKO WAITS) called I REMEMBER: HACHIKO SPEAKS. There's something about the form, it allows me to use my experience as a poet as well as a fiction writer and a nonfiction writer. The books contain poetic form, a story with a beginning/middle/end (plot) and in most cases research. I adore the challenge! Lee: Let's talk about what's arguably your most famous picture book. 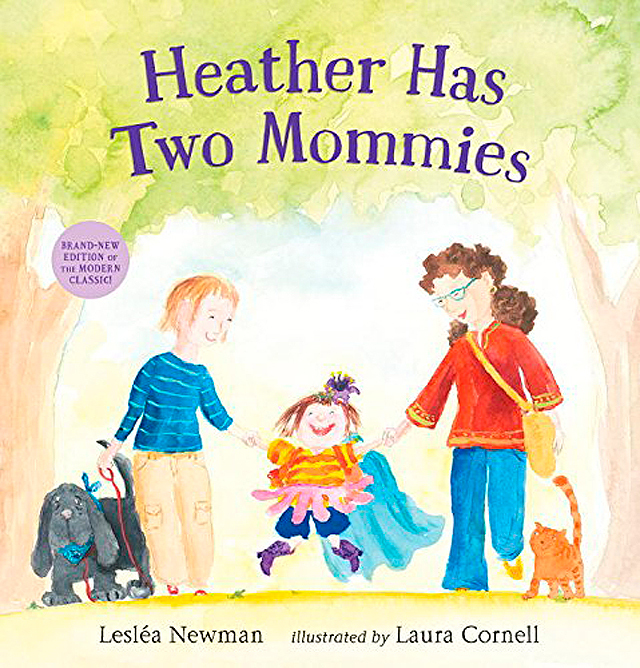 25 years ago, HEATHER HAS TWO MOMMIES was published, and it was a watershed moment in children's literature. There's a new edition coming out? Lesléa: Yes, the new edition is coming out March 24, 2015 from Candlewick Press. I was able to edit the text, and there are brand new illustrations. The book has a more contemporary look, plus the illustrations are in full color. Lee: What was it like to go back into that text and change things? Were you hyper-aware of the book's place in history, or did you think of it as if it was a totally new story you wanted to tell? Lesléa: I wasn't really thinking of the book as a historical artifact, though it seems that it has become that. I just was thinking about the text and how to make it a better story. I like to think that I've become a better writer in the last 25 years. It was really great to be able to go back and re-visit the text. Not many writers get that opportunity. Lee: I think of how "mother" is a noun, yes, but it is also a verb. To mother. 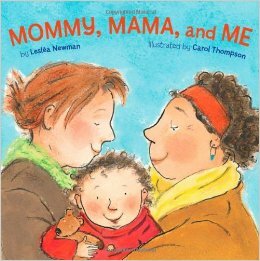 I'm a gay dad, but there's a lot of "mothering" to being a parent of any gender. Lesléa: Oh, that's absolutely true. Remember that old commercial, "You don't have to be Jewish to love Levy's?" (they were speaking about rye bread). You certainly don't have to be a mother in order to mother. 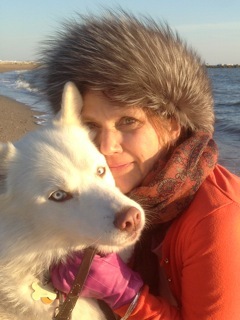 I'm not a mother, and I've done my share of mothering myself. Lee: Yes! Absolutely. And in a way, I'm thinking that the act of writing from the heart, and then our voices being heard by readers, is another form of mothering, of mentorship. It's as if our books are saying to our readers, "Come, I'll tell you a story, and it will unfold in your mind and in your heart..."
Lesléa: I love that! Some of my students have told me that they appreciate the way I have "mothered" them. And when a student of mine publishes a book, I think of that book as my grandchild! Lee: To wrap things up, we have an audience of writers and illustrators -- any advice you'd like to share? Lesléa: Read every day. Write every day. Do at least one thing every day to promote your career. And find people who care about you enough to tell you the truth about your writing. Lee: Lovely. Thank you so much, Lesléa! You can find out more about Lesléa and her books at her website here. The 2015 Golden Kite and Sid Fleischman Award Winners! This harrowing story centers on the 1964 Civil Rights movement and one young girl’s summer that will change her life forever. 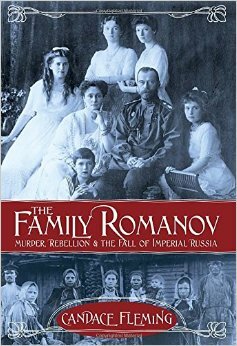 This book follows the salacious history of events surrounding one of the great Russian royal families. 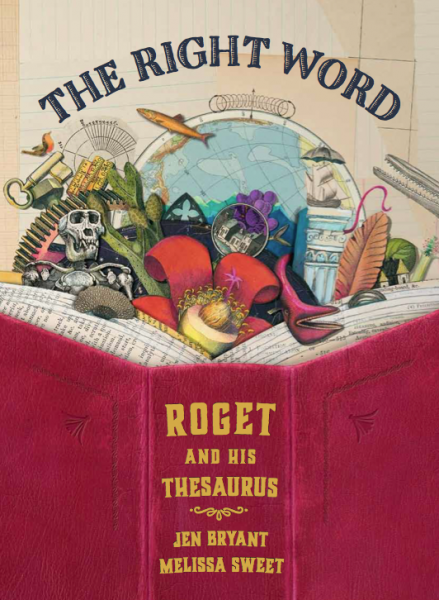 Words have never been so beautifully illustrated as in this descriptive visionary’s tale. A Dance Like Starlight: One Ballerina’s Dream written by Kristy Dempsey, illustrated by Floyd Cooper receives the Picture Book Text Award. 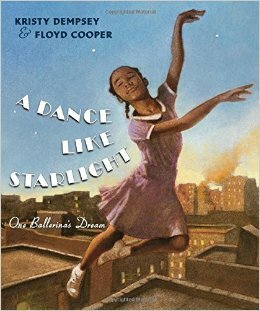 Janet Collins, the first African-American prima ballerina, dances her way into the hearts of young readers in this inspiring picture book. Evil Librarian by Michelle Knedsen. 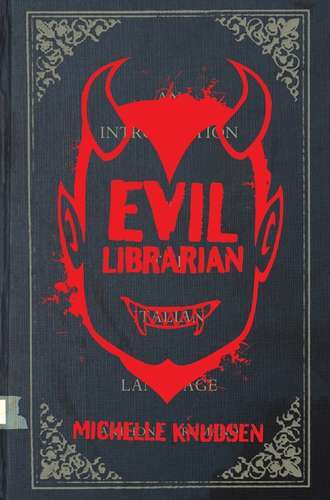 Cynthia must save her best friend from the clutches of the dangerously cute new school librarian that just happens to be a daemon in this smart and funny romp. Look with interview with all the winners in the coming months right here on this blog! it's not exactly "bathe in champagne" time. "In this example, $24k in 2015, $12k in 2016, $18k in 2017, $6k in 2018." The point of the exercise isn't to rain on anyone's parade, but to help us have more realistic expectations about the money side of writing for young people. 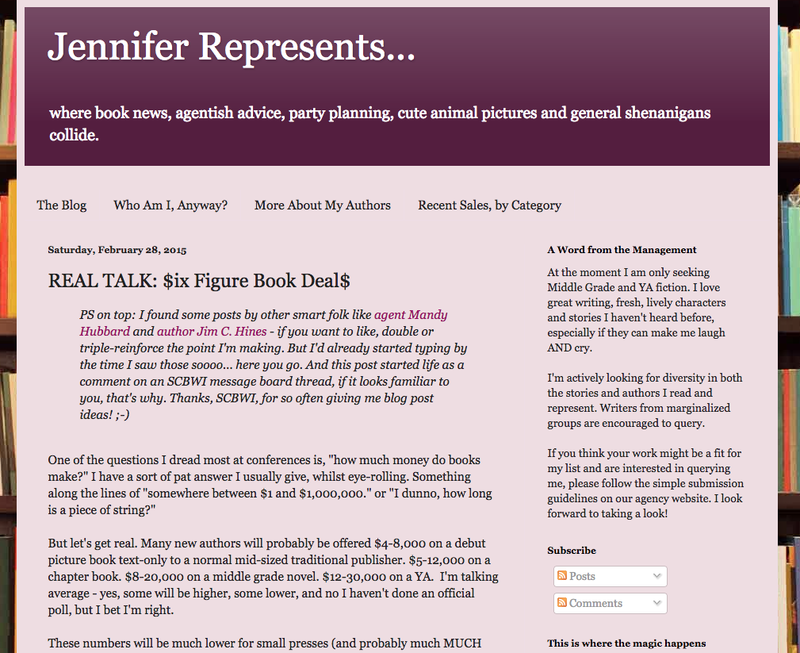 Both what the average advances might be (she covers PB, MG and YA) and even what it means when we DO land one of those impressive six-figure deals. The single best thing you can do for your career is KEEP WRITING GREAT BOOKS. Enough of me telling you about the blog post. Go read it yourself. Knowledge is power.